This book provides the reader with a range of questions and explanations related to essential aspects of the neural, hormonal and gastrointestinal physiology. The focus of the book is on understanding the homeostatic control in each system by using questions to challenge the reader to think through physiology. In addition, functional integration of the different organ systems is highlighted in an area such as neuroendocrinology and in the study of the neural mechanisms in the gastrointestinal tract. This is the second Physiology Question-Based Learning book, written by Prof. Dr. Cheng. He has taught physiology for thirty years. He has pioneered the international physiology quiz, which is now an annual event at the University of Malaya in Kuala Lumpur, Malaysia and at universities around the world. As quiz master, he has designed challenging questions to test concepts and understanding in physiology. This book reflects the style of questions asked during the physiology quiz. The questions are designed to stimulate integrative and homeostatic thinking in physiology. 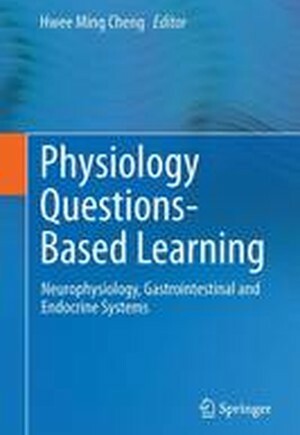 The Physiology Question-Based Learning books will be helpful to all students of Physiology in medicine, dentistry, pharmacy and allied health sciences. This work is written to make physiology learning engaging and enjoyable and to encourage effective teaching in physiology.